Kick back and relax at Pass-A-Grille Beach in Florida. Pass-A-Grille beach weddings are unique and relaxing. You and your guests can kick back, relax and enjoy the beautiful beaches. You can spend your evenings catching the beautiful sunsets and shopping at the local boutiques on eighth avenue. Want a keepsake from your trip down for your Pass-A-Grille beach wedding? Visit Shell Key, a barrier island filled with unique shells for you to find and keep! You and your guests can enjoy a day finding treasures to bring home with you, this is fun for guests of all ages. What stands out to us the most about having a Pass-A-Grille Beach Wedding? The dolphins! You are sure to catch amazing views of the dolphins swimming while you are watching the sunset. Pass-A-Grille is known for their dolphin sightings, which is a guaranteed way to make your trip much better than you ever expected. 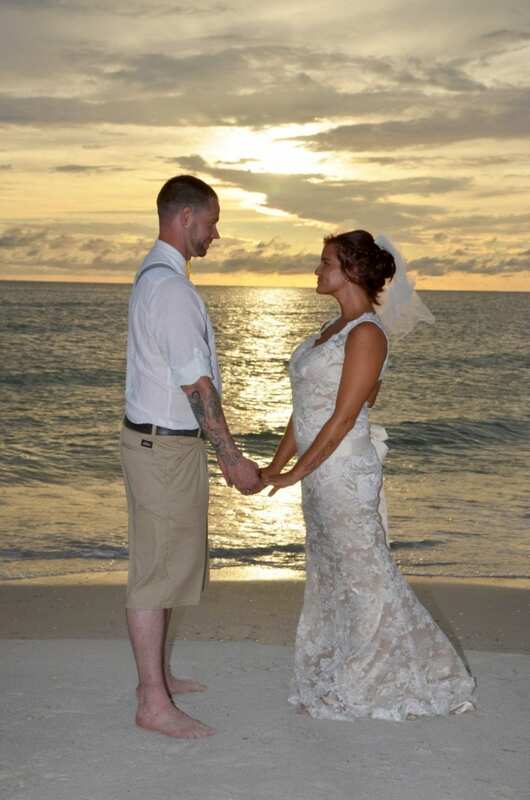 Do you not only want a beautiful Pass-A-Grille Beach Wedding, but an unforgettable reception? Book a Riverboat Cruise for you and your guests and enjoy the beautiful sunset, delicious dinner, and the even the chance of seeing dolphins as you eat. No matter how short or long your trip is in Pass-A-Grille, you can rest assured that you and your guests will never have a dull moment. Their are a wide variety of activities for guests of all ages to enjoy and your guests will leave bragging about the beautiful city they visited at your beach wedding.